The East-West School of International Studies strives to foster a positive and equitable learning environment in diverse and inclusive classrooms for students in grades 6-12. 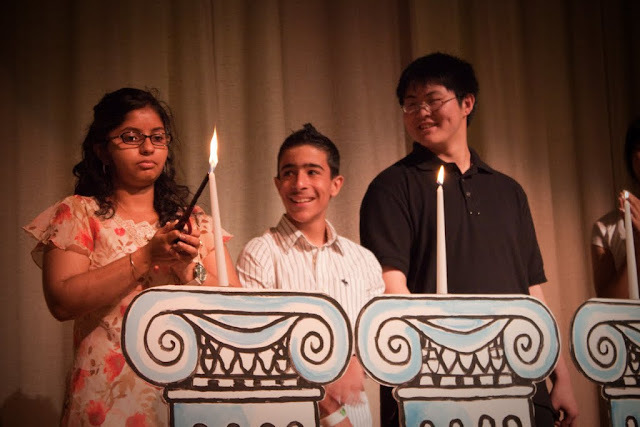 The school is driven by its four pillars: Honor, Excellence, Curiosity, and Celebration. East-West students are provided with a well-rounded education that includes rigorous academics as well as exposure to the arts and languages. All students are expected to graduate with an Advanced Regents Diploma and to meet College Readiness Performance Standards on the New York state regents Examinations. Emphasis is placed on East Asian culture and every student completes a 4-year sequence of study in an East Asian language. The school is also proud to have a Nest program to support the academic and social development of students with Autism Spectrum Disorder. East-West educators use data-driven instruction and collaboration to create differentiated lessons that are relevant and accessible to all students. East-West strongly believes in providing authentic learning experiences for students who are provided with the opportunity to become leaders through activities such as service learning and community service. Through the collaboration of staff members, parents, and local community leaders, students receive unique opportunities to explore New York City and abroad, such as international student trips to China and Japan. East-West celebrates the diversity and cultural backgrounds of all students. The accomplishments of students are acknowledged in a variety of areas including academic growth, athletics and community involvement. Through clubs and after school activities, students flourish in a social setting that supports their differences and interests. 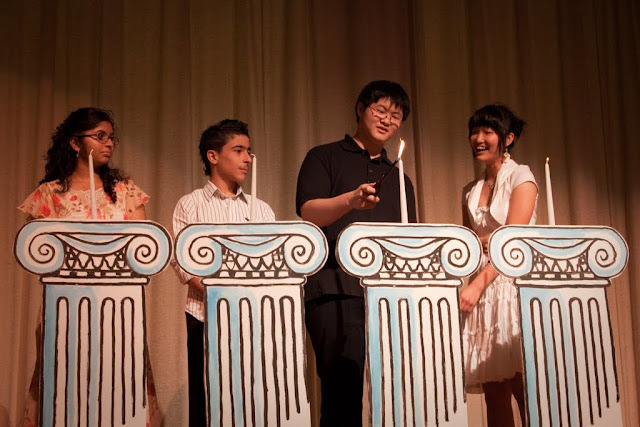 In addition, the diverse talents of East-West students are showcased through the Winter and Spring Festivals and a love of the arts is fostered through music and theater programs. East-West’s goal is to develop students who are compassionate and curious, have a strong sense of self and the foundation for success in college and beyond. The East-West School of International Studies trains students to become experts in an Asian culture and language while preparing for a career in an international world. Our core competencies are English, math, science, technology, and language. East-West students will graduate with a Regents diploma, proficiency in an Asian language, and the ability to use technology as a tool for lifelong learning and communication in preparation for college success. We believe that the Asian language and arts, history, business opportunities, and technology hold significant interest for New York City students. For these students, Asian culture provides a unifying theme to their high school careers to motivate them to deeper studies and to keep them focused on graduating high school with a world view. The East-West School will prepare New York City students of all racial and socioeconomic backgrounds for a four-year college and for a productive professional life working with cultures beyond their own. We also believe that a focus on Asia can help students develop guiding values such as community, discipline, high standards, and perseverance. East-West is a small comprehensive 6-12 school inspiring students to explore the world at large, yet having a special focus on Asian language and culture. The school will have an emphasis on the guiding values of self discipline, community, high standards, and perseverance. Together, we create opportunities for our students' success. INSIDESCHOOLS.ORG - The East-West School of International Studies, a small school in a borough known mostly for large schools, offers academic rigor in a nurturing environment. Opened in September 2006 with support from New Visions for Public Schools, an education reform group, and the Asia Society —the latter a recipient of a grant from the Bill and Melinda Gates Foundation to set up a nationwide network of small schools focusing on international studies— the school launched with two grades, 7th and 9th. It added new grades yearly until it became a full 6th through 12th grade program. In designing the school, founding principal Ben Sherman and assistant principal Josh Solomon drew inspiration from their reading ofThe World is Flat, by New York Times columnist Thomas Friedman, a treatise on how swift advances in technology and communications have fueled Asia's growing presence in world markets. "We don't know what the future will look like, but we do know that employers will want to hire college-educated people who speak different languages, know how to use technology, and have a good background in science," said Sherman. "This is going to be the Asian century." All students study Korean, Chinese, or Japanese. East-West shares space with I.S. 237Q, the Rachel L. Carson Magnet School for the Arts, which is located across the street from Kissena Park. It occupies the 4th floor of the building. Beyond sharing facilities like the gymnasium and cafeteria, East-West functions independently of I.S. 237, with its own separate entrance, arrival and dismissal times, and class schedules. Student wear uniforms of pullovers, collared shirts (royal blue, light blue, or white) emblazoned with the school insignia, and dark pants other than jeans. After school: Enrichment activities are offered on site after school. View our offerings. Admissions: The school is open to students from all five boroughs. Learn more about our admissions process.